No tax deduction from contributions. Withdraw your contributions tax free. Annual contribution limit: $2,000 per beneficiary. No annual contribution limit but most states limit total contributions to $300,000. Annual contribution limit: $5,500, or $6,500 if age 50 or over. Anyone can contribute but the amount they can contribute is limited by their modified adjusted gross income. Ability to contribute phases out once modified AGI reaches $220,000. Must have income in order to contribute. People with high incomes ($181,000 for married couple) are prohibited from contributing. Can be used for higher education and qualified K-12 expenses. Beneficiary must use account by age 30. Can only be used for higher education expenses. Can be used for higher education, first home purchase, qualified medical expenses, and retirement. Account under guardian's name won't impact beneficiary's FAFSA. Withdrawals will increase your earned income and can affect beneficiary's FAFSA. A Roth IRA differs from a traditional IRA in that the income you contribute is already taxed. The beauty of a Roth IRA is that the distribution you take from your contributions is not taxable (as long as the use is approved). Let's say your child is a college freshman. You withdraw $15,000 from your Roth IRA for their first year of school. None of this money will be taxed, as long as it is from your own contributions and not from the interest earned. Withdrawals are considered returns of contributions initially, for tax purposes. They are considered interest earnings second. Now, you are likely thinking, "But aren't IRA withdrawals subject to penalties if you withdraw them early?" Generally, yes. Normally, you must be age 59 ½ or older, and have had the account for at least five years to withdraw without incurring a 10 percent tax penalty. Why? Well, all IRAs are retirement funds, primarily. They are designed to be withdrawn only as folks approach retirement. But no penalty applies if the withdrawal is for qualified educational purposes (or a first home purchase, or qualified medical bills). Even if your child or grandchild has a scholarship for full tuition, it's no problem. Roth IRAs can be used for any qualified educational expense, including room, board, books, and supplies. If your child or grandchild ends up not going to college, or not needing all the money, you can simply keep the money to continue funding your retirement. Note that to place money back into a Roth IRA, it will be subject to annual contribution limits ($5,500 if under age 50, and $6,500 if age 50 or older). You can also use traditional IRAs to pay for college. Essentially, traditional IRAs reverse the tax advantage of a Roth. You get a tax deduction upfront for all money contributed to a traditional IRA — but all withdrawals will be taxed at the federal and state level. As with a Roth IRA, if traditional IRA distributions before age 59 ½ are used for qualified educational expenses, they are not subject to the 10 percent penalty. However, they will be subject to tax. The IRS will get its money whenever you withdraw from a traditional IRA, regardless of what you withdraw it for. Because of the tax implications, while it is possible to use a traditional IRA for educational expenses, it may not be the most prudent move. If you want to tap into IRAs for college expenses, a Roth IRA is the better bet financially. However, there are still benefits of using an IRA over an educational savings account if you know your retirement will still be secure. 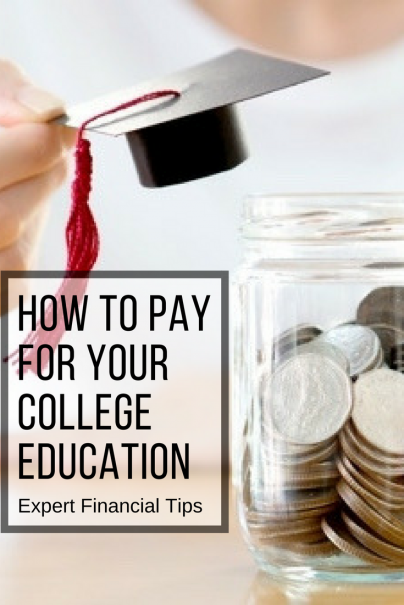 For example, by combining the funds into one account, you will have more flexibility in choosing whether to spend your savings on education — and how much — or to continue to hold it for your retirement.